I am sooooo far behind on my travel reads reviews! I have been so thankful to run across a string of enjoyable books! Currently I am reading a couple of books "Life is Swede" which is a cool book, especially since it is about an expat blogger! And also "The Husbands Secret". I have been reading quite a bit over the past month, having many train rides down to London and up to Leeds for Zeal for Life parties! Today I am giving you my opinion on the last three books I've read. I know, I know. They aren't the newest of titles but nevertheless, all were great reads! "Don Tillman, professor of genetics, has never been on a second date. He is a man who can count all his friends on the fingers of one hand, whose lifelong difficulty with social rituals has convinced him that he is simply not wired for romance." While this book is a nice easy read, I think it is predictable. I mean, the title kinda gives it away! In a lot of reviews that I have read about the book, a lot of readers compare Don to Sheldon from Big Bang Theory. I am not a Big Bang theory fan so I really didn't connect the two. There were a lot of funny parts and I enjoyed the read overall. "The story begins in 1962. On a rocky patch of the sun-drenched Italian coastline, a young innkeeper, chest-deep in daydreams, looks out over the incandescent waters of the Ligurian Sea and spies an apparition: a tall, thin woman, a vision in white, approaching him on a boat. She is an actress, he soon learns, an American starlet, and she is dying." Talk about an Italian romance! This is a great book for anyone longing for the romantic Italian coast, I mean just look at the cover! Having never been, I was able to imagine what it would be like. 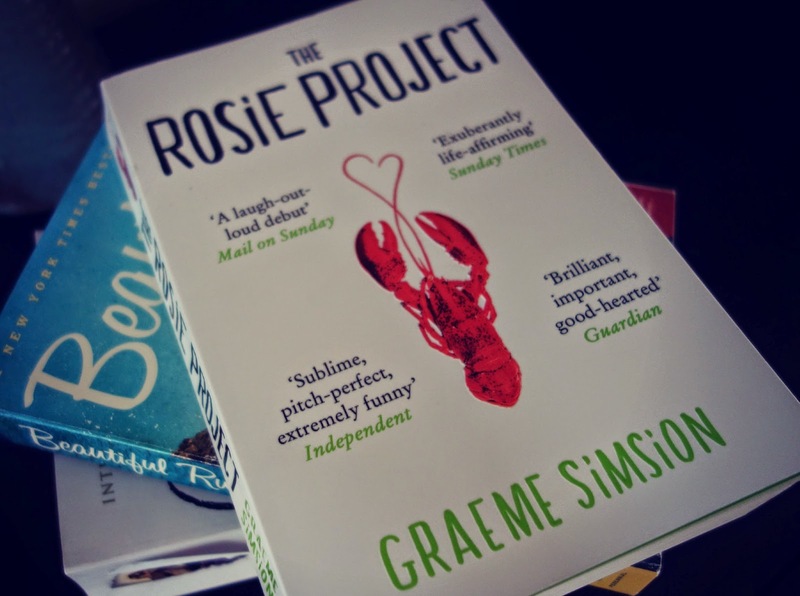 A very easy read and perfect for a travel read! I find that I am drawn to books with European storylines now. And this one is perfect. "It begins with a boy. Theo Decker, a thirteen-year-old New Yorker, miraculously survives an accident that kills his mother. Abandoned by his father, Theo is taken in by the family of a wealthy friend. Bewildered by his strange new home on Park Avenue, disturbed by schoolmates who don't know how to talk to him, and tormented above all by his unbearable longing for his mother, he clings to one thing that reminds him of her: a small, mysteriously captivating painting that ultimately draws Theo into the underworld of art." So, it seems that you either love or hate this book. And I am in the love category. With it's intimidating 850+ pages, it runs the risk of losing readers with its length. But like I said, with a couple of 6 hour round trip train rides to Leeds I was able to make major progress on this book. I really connected with book for some reason and got totally wrapped up in the story. And I have several pages marked with passages that I have gone back and reread. The author really captured human suffering in some of those passages. What are you reading this summer? I am always looking for my next good read!! I had heard of The Goldfinch but didn't know what the story was about. 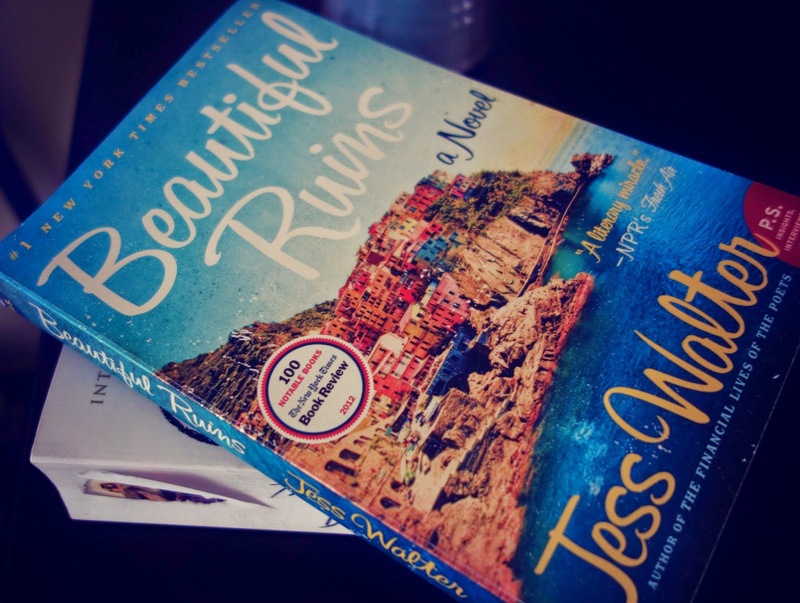 I've got a feeling that Beautiful ruins might be more my type of book! All of my summer reading has been too dumb to even mention aside from devouring all of Jon Ronson's books. 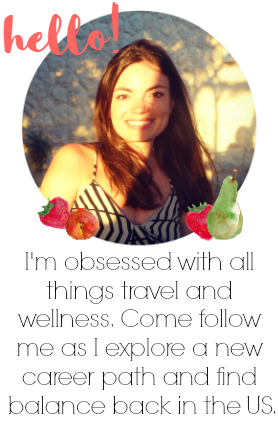 You should check them out - they're smart but still easy reads! I think I'm the only person who just thought the Goldfinch was just okay. I really enjoyed the parts when he was a teenager with Boris and then all of the sudden he was making wedding arrangements? Blech. They were kind of obnoxious as adults. Interesting! 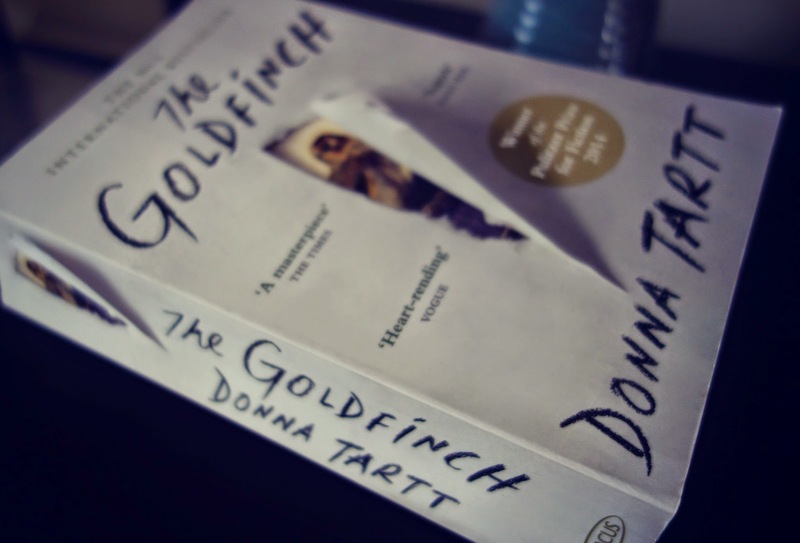 My friend is reading Goldfinch at the moment, I think I have to now as well! Beautiful Ruins was a really great read especially while traveling! I will definitely check them out! Thanks for the suggestion! Haha! Yeah they were. I really loved it though.....I think if I would have read it at another time, I might not have liked it so much....weird right? It's a good one, well for me anyways :) Great for long train rides! !